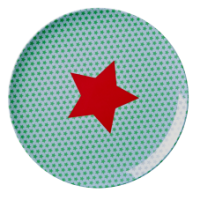 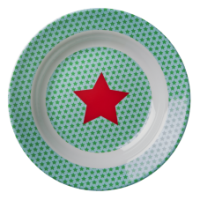 Blue, green and red star print melamine cutlery by Rice DK. 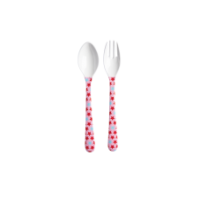 This kids fork and spoon set has green and red stars on a blue background. 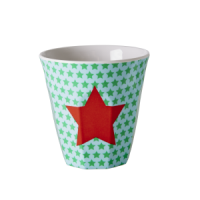 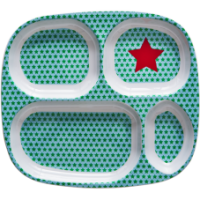 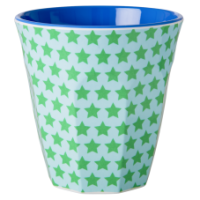 It co-ordinates with the melamine star print collection of a childs cup with a handle, cup, plate, bowl and 4 room plate - all by Rice DK.